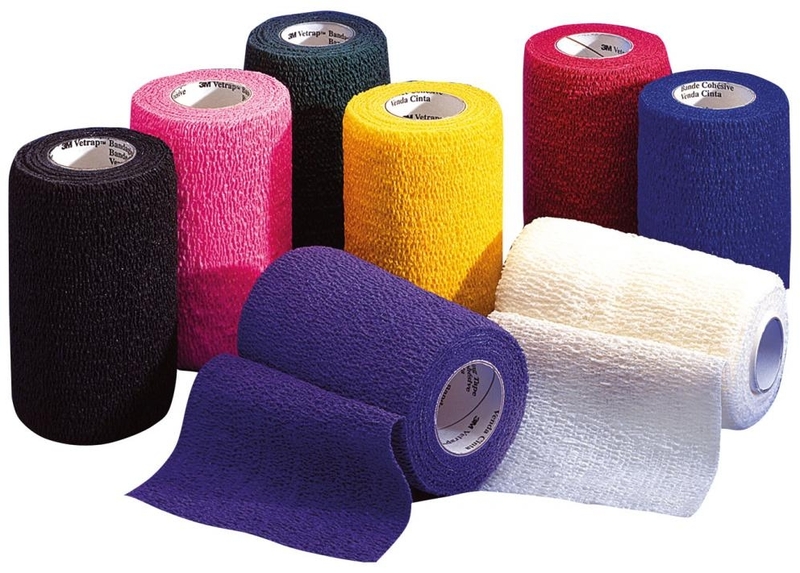 Vetrap from 3M is a market-leader, known for producing very strong and supportive latex-covered bandages. Vet Manufactured from high quality latex, elastic, non-woven cloth and polyester, these hard-wearing and durable bandages are water repellent and stick only to themselves, not to hair or skin. Vetrap Bandages are ideal for horse legs, maintaining normal blood circulation and allowing natural movement whilst providing effective support. Use Vetrap to guarantee top quality equipment and tack. Below are some recent questions we've received regarding 3M Vetrap Bandages, including answers from our team. My daughter has stitches in her knee which need keeping dry but we are going on holiday and were hoping to go swimming and in the sea. Would this keep the water out enough? These can be used on people and they do provide support and protection, but they are not waterproof and the stitches would certainly get wet. Clean salt water should not be a big problem for the wound, but you should check with your doctor first.